Facebook has recently changed the way it integrates video into your feeds and timelines and it has vast implications for engagement and views. Under its former protocol, one could link a video from YouTube, Vimeo, or another channel such as Videolicious into a post. Facebook would then integrate a small video frame for the viewer to click or touch. Fast forward to the present. Videos now uploaded directly to Facebook appear as native content that auto-plays in the user’s timeline. Users or followers no longer have to click or touch to view the video. The changes are critically important for brands, including news outlets that thrive on engagement, activation, and sharable content. With this change in the digital landscape, I conducted a simple experiment. As a news anchor and reporter I routinely create short videos on my iPhone using Videolicious to post on Facebook alerting our followers to the stories we will have in the evening newscast. I call it “Tim’s Phoning It In.” Recently, during the course of two nights I posted one video as a Videolicious link, the next night’s report was uploaded directly to YouTube as a native video. Here is the Video from January 30th posted as a link. This is the post the next night as a native Facebook video. In full disclosure, there are limitations to this experiment. Among them is the potentially different Facebook user-ship rate between the two nights. Additionally, the second video may have been perceived as simply more compelling content than the one posted the previous day. Also, the potential of snow in the forecast during the night of the native Facebook video posting could have been a supplemental motivating factor. But I strongly suspect the auto-play feature of the second posting played a significant role in the increased exposure. That’s not to say YouTube is no longer important. YouTube is still the channel brands need to have a presence on because of its search functions. 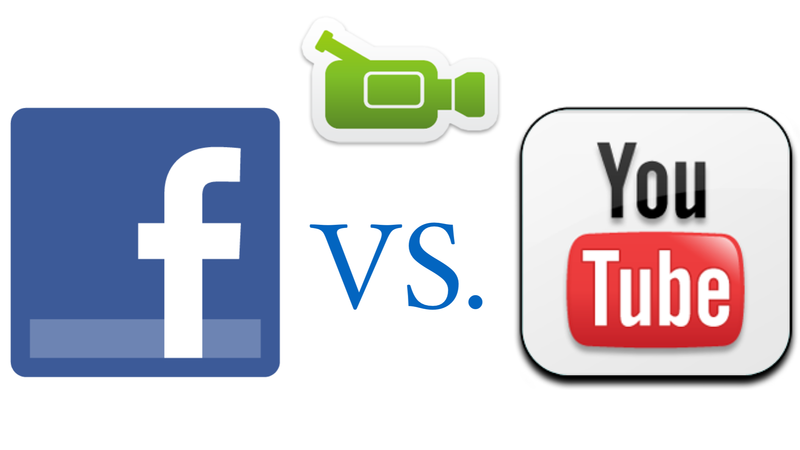 Additionally, longer format videos are ideally suited for YouTube whereas Facebook holds the advantage with shorter messaging that’s meant to be perishable—in other words, needs to be seen now. 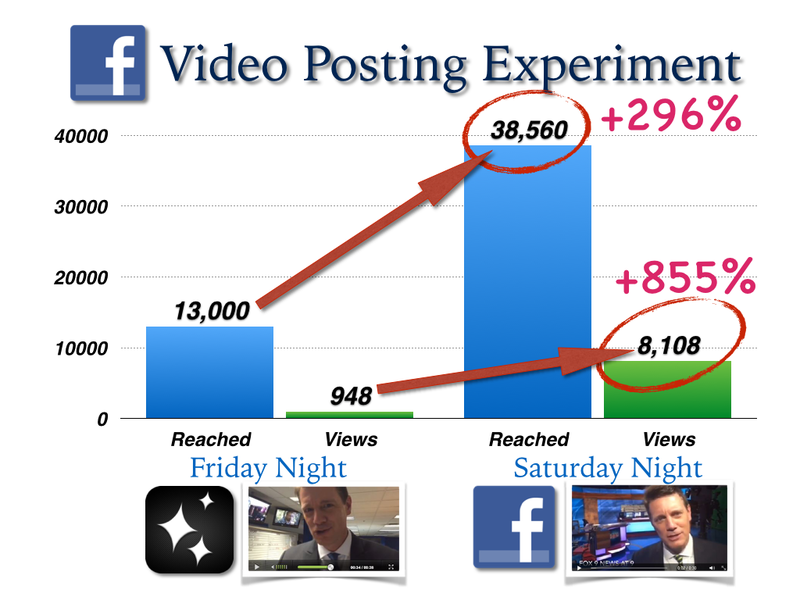 In this case Facebook is ideal for news videos and brands running time sensitive marketing promotions. 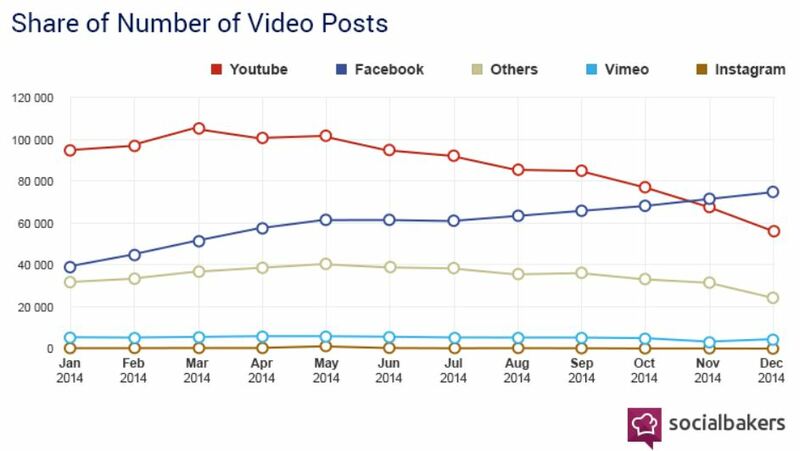 The landscape is changing so rapidly that AdAge now includes Facebook videos in its weekly advertising engagement report. The changes are big and offer brands, and yes, news organizations new opportunities in reaching their followers.